« Ndoth, Ndiez, Selamat nah…. Usually , if we have multiple yahoo accounts , you must have to log out of the current messenger id if you want to switch to another account. But, with this trick, you can log into multiple yahoo messenger accounts at the same time..
6. 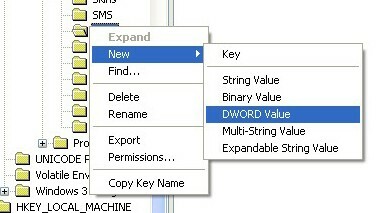 And Enter this information : Value data : 1 –>Base : Decimal –> edit dword value and Click on OK. Done! Now, you can log in to as many Yahoo accounts as you can simultaneously… Enjoy! 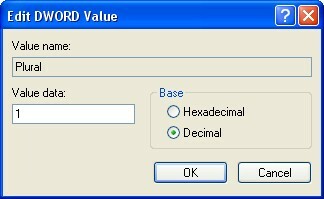 This entry was posted on February 18, 2010, 6:27 am and is filed under Tips - Trik. You can follow any responses to this entry through RSS 2.0. You can leave a response, or trackback from your own site.